Hello and welcome to my website. 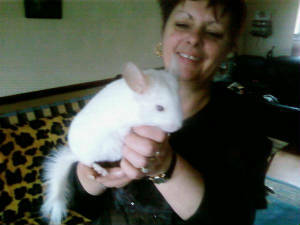 My name is sue,Im a hobby breeder of good quality tame chinchillas,All my chinchillas have come from well known breeders,My aim is to breed a line of big plump healthy chins,I do sometimes have kits for sale. I started breeding chinchillas in 2004 when I decided that I was finally going to buy my first pair, Star and Casper which are Hetro Beige and Mosaic. As soon as me and my daughter had brought them home, we had fallen in love with the fluffy fur and their happy personalities. 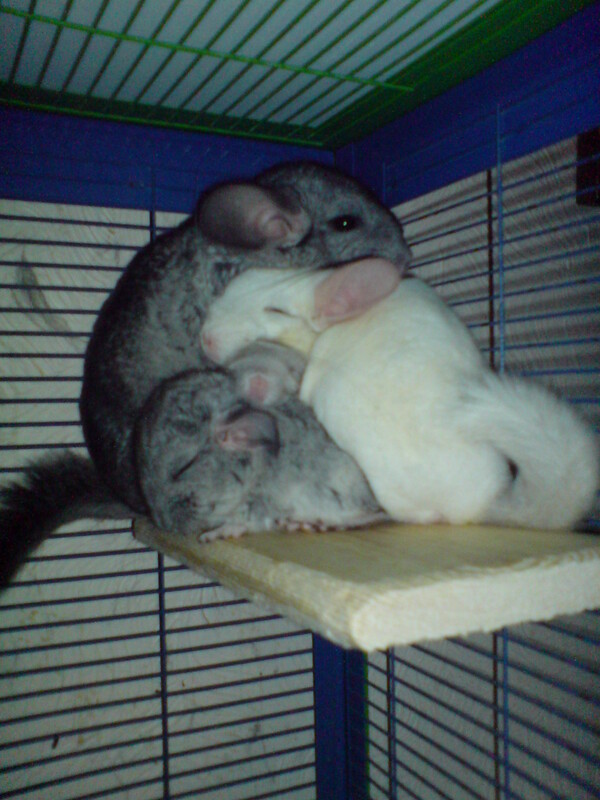 In the second year of having these two amazing chinchillas in our home they produced their first kits, Ghost and Twinkle. Sadly we sold Twinkle but we still keep in touch with her new owners. So further on we wanted more chinchillas which makes everything a lot more amazing to wake up to a few little fluffy balls bouncing around in the cages. Chinchillas are amazing pets for the family. I recommend them to anyone who is willing to give lots of love and attention to a pet. They live up to 20 years and are the most fun and friendliest pets of them all. Please get in touch if you are interested in buying a chinchilla!